Ciklum reviews results of the 2012 Bench Games, an international intellectual competition by Brainbench. Brainbench, one of the world’s leading providers of online skills assessment solutions, has recently presented the results of its 2012 Bench Games, an international intellectual competition. According to the 2012 Bench Games Leader Board, Ukraine ranks 3d globally (out of 50 countries) in the “Most Certified Citizens” category, following the United States and India. The winners of this category are nations with the highest number of the certified professionals in over 600 skill areas. This year, Ukraine has left Russia and other European countries behind and, therefore, became the European leader by the number of the certified workforce. 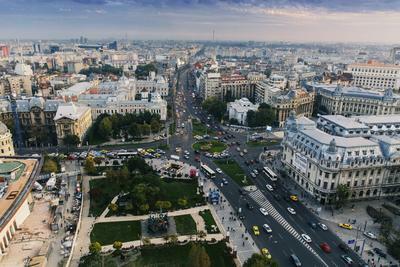 In the “Most Master-Level Certified Nation” category Ukraine ranks 2d globally, following the United States. However, it has outrun the USA by the number of IT certifications: Ukraine has gained 91 Master-Level IT Certificates out of 96 granted, while the United States – only 60 out of 146 granted. The Individual Leader Board puts Ukraine in the leading position for the following technologies: .Net Framework (2.0, 3.5, 4.0), Adobe, AJAX, ASP.Net (3.5, 4.0), BEA WebLogic Application Server 8.1, C# (3.0, 4.0), Cisco Network, Flash MX 2004, and others. Regarding its neighbors, Russia and Belarus rank 4th and 6th accordingly in the “Most Certified Citizens” category and 3d and 4th accordingly in the “Most Master-Level Certified Nation” category with 40 and 21 Master-Level IT Certificates granted. The Bench Games competition was conducted online between March 5th and 9th, 2012. 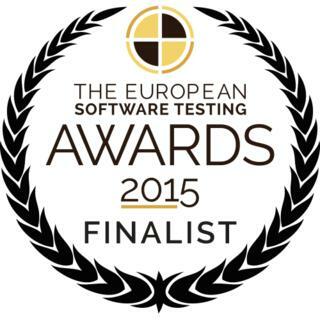 The free access to the competition was provided to all Brainbench members and website registrants. Back in 2006, Ukraine ranked 4th in the “Most Certified Citizens” category and 10th in the “Most Certified Nation” category that determined the nation with the highest number of the certified specialists as a percentage of the overall population. The 2012 International Skills Rating by Brainbench proves Ukrainian IT talent to be highly competitive on the global scale. 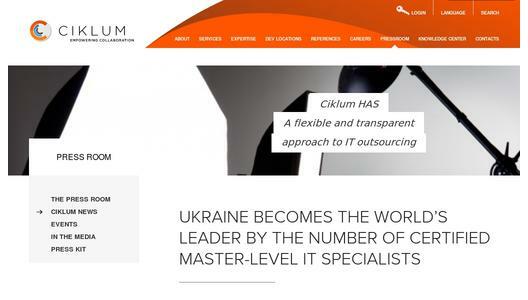 Ciklum (www.ciklum.net) ist ein dänisches IT-Outsourcing-Unternehmen, das auf Nearshore-Softwareentwicklung in der Ukraine spezialisiert ist und für Kunden eigene Entwicklerteams aufbaut und unterhält. Der Dienstleistungsrahmen und Wissensaustausch innerhalb der Firma helfen den Kunden, schnell, mit weniger Risiken und minimaler Investition die gewünschten Resultate zu erzielen. Ciklum wurde 2002 gegründet und beschäftigt heute knapp 1.800 Spezialisten in 150 globalen Kundenteams. Ciklum hat sechs Entwicklungsbüros in der Ukraine, eins in Minsk und zwei in Pakistan sowie Repräsentationsbüros in der Schweiz, Deutschland, England, Schweden und Holland. Ciklum ist ein Gewinner des Red Herring 100 Europe 2009 und wurde in der Ukraine zweimal ausgezeichnet als bester IT-Arbeitgeber.